If “high-maintenance” means “requiring a lot of attention,” put my picture by the definition. With all the things I’m having to do these days just to make my body function (or to figure out what that even means in this shifting landscape of health), I feel like my children’s lives are passing me by, and I can hardly accomplish any of the writing or volunteer work that feeds my soul. I know that living from a place of fear does no good, but to shift that perspective is part of the work that will take time. Although energy work like Emotional Freedom Technique and other modalities can provide immediate relief from some things, it seems like it’s going to take a concerted effort for me to really own a warm-fuzzy, love-filled worldview. The motivation to embark on some of the tasks below came from the fact that one day in late January, after a few weeks of amazingly inspiring interviews and talks with Alfie Kohn, Claudia Welch, and Katrina Kenison such that I felt inspired and enlightened, my digestion simply stopped. Maybe, as some have suggested this is my super-sensitive body’s way of adjusting to the planetary shift into 2013, something I really don’t understand (but here’s a site for some info and another with more symptoms). But even if that’s true, nothing can go well if one is not eliminating. So that has to change. My team of healers and I are approaching this from all directions. – Emotional resistance to letting go in general. This is huge. At the core of everything, I probably need to meditate regularly to change my stress response. – Structural issues in my G.I. tract due to c-section scar tissue, abdominal separation (diastisis recti) and no core strength or structural integrity to hold my organs in the right place (so all those unsupported crunches I’d started doing this past fall were harmful, not helpful). In addition to finding a lot of tightness and lack of movement in my cecum and sigmoid colon, my physical therapist also points to tightness in my psoas as part of the puzzle. – Food sensitivities. It was 2004 when I stopped eating gluten and dairy (and soy), 2006 when I stopped eating corn, and 2011 when I stopped eating all grains and starches on the GAPS diet and early 2012 that I took a solid break from all fruit when tests showed my pancreatic enzymes beyond low and muscle-testing said my blood sugar couldn’t even handle fructose. Although this approach certainly healed me on some levels, it probably threw out my balance in other ways. For a long time, I couldn’t eat raw vegetables either, not without pain or disrupted digestion. But inspired by attending talks given by Green Smoothie Girl and Lisa Wilson of the Raw Food Institute, I started making more green smoothies and fresh juices to get those enzymes. I’m now wondering if I have a sensitivity to oxalic acid found in green leafy vegetables and nuts (which I used to grind a lot as a flour substitute) and if more of these foods in my diet have contributed to constipation. Also, green leafy vegetables and other things I was eating a lot like cauliflower are, in an Ayurvedic system, vata-aggravating foods; that wisdom says I should be eating warming foods, cooked foods and sweet foods – some of which I was avoiding. That is, they are the opposite of grounding and contribute to an airy, spinning-out-of-control energy. My Ayurvedic dosha is vata-pitta, and I think the vata got way overblown. 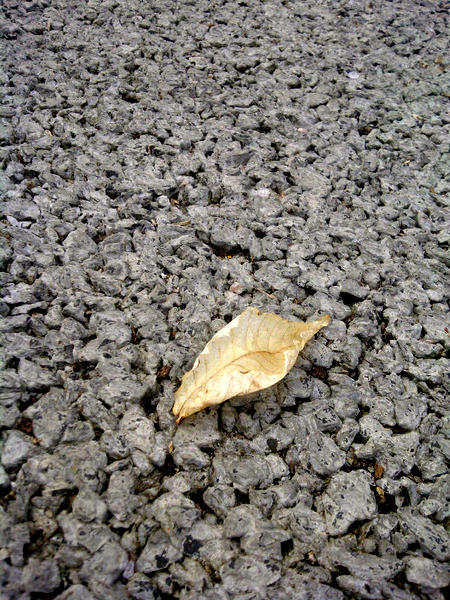 I’m like a dry leaf. So now I’m not juicing much and am once again eating rice (either soaked overnight or at least cooked in homemade broth) and root vegetables. And I start the day with stewed apples and apricots with spices to try to get things moving. Well, I can’t exactly start the day simply. Here are the things I would ideally do before my children wake up at around 6:45. 2. Boil water. I used to just start the day with plain hot water, then was trying lemon water, and now am starting with powdered magnesium, Clean as a Whistle, followed by lemon in hot water. It has to be taken at least 1.5 hours before and after food, so morning is my best bet. Exercise before food is supposed to increase my agni, or digestive fire, and this series is supposed to help specifically with digestion but also to help me ground and to open, and to wring out stale energy. All the while, I should be breathing deeply in case I don’t have time to add in targeted pranayama, which ideally would include alternate-nostril breathing and breath with movement. I’m supposed to do 15 supported abdominal crunches — with a sheet or two legs of sweatpants pulling cross-wise to approximate my abdominal muscles being closer together. I could get some kind of a girdle or brace and take on the whole Tupler technique but haven’t yet. Last time I saw my doctor, she muscle-tested me for four remedies from the Unda company plus Relax-Tone, Thyropath, Lymph Tone II, Core Maca Root and Core Pau D’Arco from Energetix. I also take the herbal remedies Skin-Gen and Digest-Gen.
Once I’ve done all this — or when I hear movement afoot upstairs that suggests hungry gremlins could descend at any moment, I start on breakfast for the kids and their dad — usually sausage and eggs with spinach and peas in broth and turmeric. I usually also have a little lunch prep left to do before everything can go into backpacks. For me, I warm ghee with cardamom, cinnamon, cayenne pepper, ginger, clove and nutmeg and then add apples and water. Oh, and I’ve probably already started soaking apricots, which I add after a while. If I’m lucky, my son and husband take off and I can eat this warming applesauce while my daughter finishes breakfast. But if we have somewhere to go together, or if I have somewhere to go right after dropping her at daycare/preschool, then I might have to take it along with me. If I have time to blend it in the Vitamix, so much the better (but not if it’s too hot since I don’t trust any plastic). I also don’t really want her eating a whole lot more fruit than she already has, so if I sit down too early she’ll just want what I have and not get any fat in her. Some days, I have homemade almond milk to add or I might even have the time to make some. It’s better if the almonds are soaked overnight in salt water, but I’ve also started just blanching them on occasion. However, maybe I need to get rid of almonds for the oxalates. So this is all before 8:00 or 9:00 a.m., depending on the day. It’s important for me to eat mindfully and not rushed or stressed in order to actually digest, but that’s hard to manage. Either my daughter is asking for something or I’m out in the car on my way to an appointment, or I’m home thinking about how much time I’m spending eating when I should be cleaning the house or responding to emails or meditating. I have not mastered the art of eating as meditation. I just get impatient. The best I can do is tune out my own reality and read the Style section of the Washington Post. Oh, and consistent meal times are also recommended for balancing vata. That consistency is tough, too, with a daughter home two days and appointments peppering the other three days. There are other supplements and regimens later in the day, and I will probably soon do some saliva testing to check on my cortisol and other hormone levels (especially since starting to read Donna Jackson Nakazawa’s The Last Best Cure), but this is plenty for one post, don’t you think? And more than plenty for one morning, a morning that has to start around 5:30 in order for me to feel grounded. I welcome suggestions and advice! Just don’t get mad if I can’t find the time to follow them! Yes, GAPS has a lot in common with SCD but adds in other healing foods like broth. I was on GAPS for two years because of the other end of the spectrum – IBS and lots of painful time in the bathroom. I’m sure it helped but clearly there is something else going on, too. Thanks for writing! The book and website for SCD, btw, are called Breaking the Vicious Cycle if anyone is interested. The warming applesauce with ghee sounds yummy!